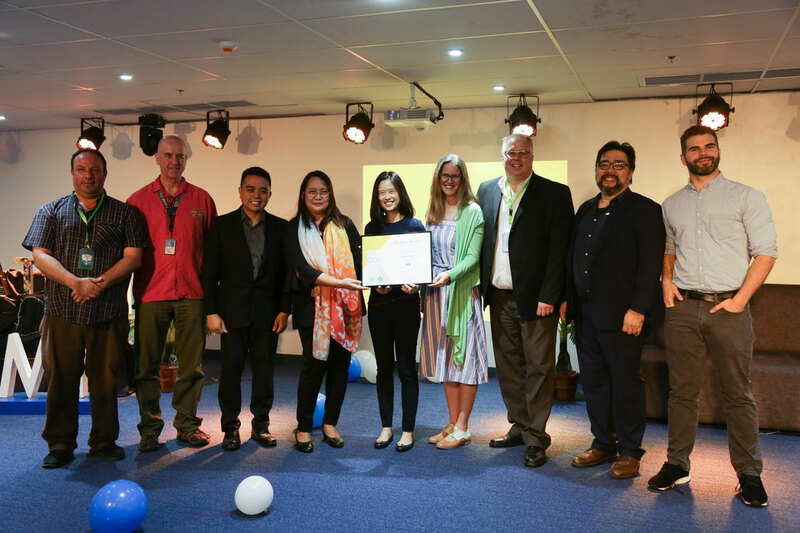 L-R: Ms. Vanessa Tanco, President and CEO of iACADEMY receives the certificate from Brooke Douglas, Toon Boom Director for New Business Opportunities and Member of the Executive Board, making iACADEMY the first and only Toon Boom Center of Excellence in Asia. iACADEMY is a school in Makati that specializes in Computing, Business, and Design and was the first to offer the Animation program in the country. Today, iACADEMY marks another Game-Changing milestone in the animation industry by being the FIRST and ONLY Toon Boom Center of Excellence in Asia! Toon Boom Animation Inc. is a Canadian software company that specializes in animation production and storyboarding software for major animation studios and media pubishers such as Universal Studios, Fox, NBC, Cartoon Network, Dreamworks, and LucasFilms among others. 1. As a COE, this makes iACADEMY closer to being the best school in Asia, specifically for Animation. This milestone gives the school the exclusive rights to claim that they are truly a game-changing school. 2. In the past, they teach only 1/8th of what Toon Boom Harmony can do, but with this certification and the certification of their professors, they would be able to teache 100% of the software. 3. With the COE, this places iACADEMY in the international animation scene, and cements iACADEMY as the school for Philippine Animators and future Game Changers in Animation. This milestone gives the school gravitas and credibility in the Animation industry--both here and abroad. 4. In the near future, iACADEMY will be holding Toon Boom workshops. 5. Students from iACADEMY are entitled to Toon Boom licences for free.